Pricing decisions will have a direct impact on your profits and as a result, it is very important to get these decisions right. You must be strategic when determining your pricing. If you price your drinks too low, you are likely leaving profits on the table. On the other hand, if you price your drinks too high, you will increase your margin on each drink but potentially experience a reduction in sales volume which may reduce profits overall. The goal is to strike a balance between pricing and volume to ensure you achieve the point of maximum profit. While we would love to provide you with a tried-and-true guide that will tell you exactly what to charge for every drink you serve, this simply isn’t practical. Since every bar is different, the pricing decisions for every bar must also vary based on their unique goals, the demographic of their customer base, and their customer’s needs. In order to figure out what the ideal pricing decisions are for your bar, you must gather as much information as possible, test your strategies, and constantly refine these strategies based on the results of your testing. In order to get the detailed information necessary to test your pricing strategies, you will need to use a sophisticated liquor inventory system that provides you with actionable data on each individual product sold at your bar. At Bar-i, we are experts in liquor inventory, and our software can help you gather the information necessary to make smart, strategic pricing decisions. However, we are not experts in the unique attributes of your particular bar. No one knows your clientele, customer base, and geography the way you do. You and your bar managers are in a better position to know what your customers want and what will work at your bar than any outside consultant. Ultimately, your work with an outside consultant such as Bar-i must be viewed as a partnership where you provide the knowledge about your customer base and we provide you with the information necessary to determine how to best serve your customers’ needs. The following two tools will help you make smart, strategic pricing decisions that will help you maximize your profits. One factor that impacts the price of a drink is branding. Premium brands such as Patron or Grey Goose cost more than well liquors. To reflect this difference in cost, you should always charge more for a premium drink than a well drink. Most bars have this aspect of pricing down pretty well, but where they have trouble is with optimizing the modifiers on their POS system. One example of the problems that arise when your POS isn’t optimized properly can be seen when serving rocks drinks. Most bars have a typical drink size (1.5 oz. is the most common pour size for liquor drinks). But drinks poured on the rocks are often a little larger – often they will be 2 oz. Most bars have their POS set up in a way that allows the bartender to simply press a “rocks” modifier button when ringing in a particular type of liquor. This modifier typically adds a fixed charge on top of the drink price. The problem with this setup is that this fixed charge for the “rocks” modifier will be applied whether your bartender is ringing in a well drink or a premium drink. Let’s examine how this works with well whiskey, which costs about $6 per bottle vs. Johnny Walker Black, which costs about $40 per bottle. When seeing the difference in your cost, it becomes clear that it doesn’t make sense to charge the same price increase for both drinks. Instead, you need to set up your modifiers in a way that allows you to charge a different price increase for each individual drink. •	Smart Solution – The best way to optimize your modifiers is to use POS software that allows you to do brand-specific pricing on your modifiers. At Bar-i, we recommend using Serving Success POS software. When you create a “rocks” modifier using the Serving Success POS software, it will increase the cost of each drink based on a fixed percentage of the original price. This will help you set your prices in a way that maximizes your profits. 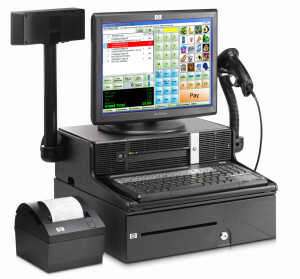 •	Less Efficient Solution – You can also simply add extra buttons to your POS system. In our whiskey example above, you would set up your POS system to have a “whiskey” screen and then a separate “whiskey rocks” screen. The special “rocks” screen would have a button for every type of whiskey you sell, enabling you to set a specific price for each individual rocks drink that you serve. While this solution accomplishes your goals, it will make your POS system much more clunky and bloated than solutions such as Serving Success, which streamline your ability to achieve brand-specific pricing. Most bars make the mistake of thinking these two figures are the same. As a result, many bars make pricing decisions based on the liquor cost for the entire bar instead of based on the liquor cost for the individual product they are pricing. Most liquor inventory systems don’t calculate liquor cost for individual products. Instead, they just provide you with the liquor cost for an entire category, such as “liquor” or “draft beer.” When using one of these systems, you can’t see your liquor cost for an individual product such as Jack Daniels. As a result, you will never be able to know whether your actual liquor cost for this product is the same as the theoretical liquor cost (what the cost would be if everything is always poured perfectly and nothing is given away). By using a more detailed liquor inventory system that allows you to calculate liquor cost for individual products, you will be able to compare your theoretical liquor cost with your actual liquor cost and determine how much your costs are increasing due to over-pouring, spillage, or simply giving away free drinks. 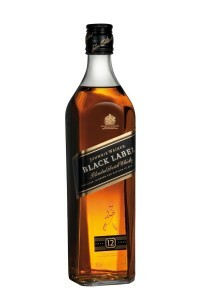 This will ensure that your pricing decisions are based on your actual liquor cost. If you base pricing decisions on your theoretical liquor cost, it will reduce your profits significantly in the long run. Bar-i’s liquor inventory software provides you the liquor cost of individual products, which will help you tweak your pricing decisions to make them more effective. It will also help you determine when your bartenders are over-pouring. A great way to obtain this detailed information is to download Bar-i’s free liquor cost calculator. This tool can be used to calculate the liquor cost for your entire bar as well as for individual drinks. You will want to use the second tab to calculate the cost of each individual drink. An explanation of how to use this function starts at around 35 seconds into the tutorial video.